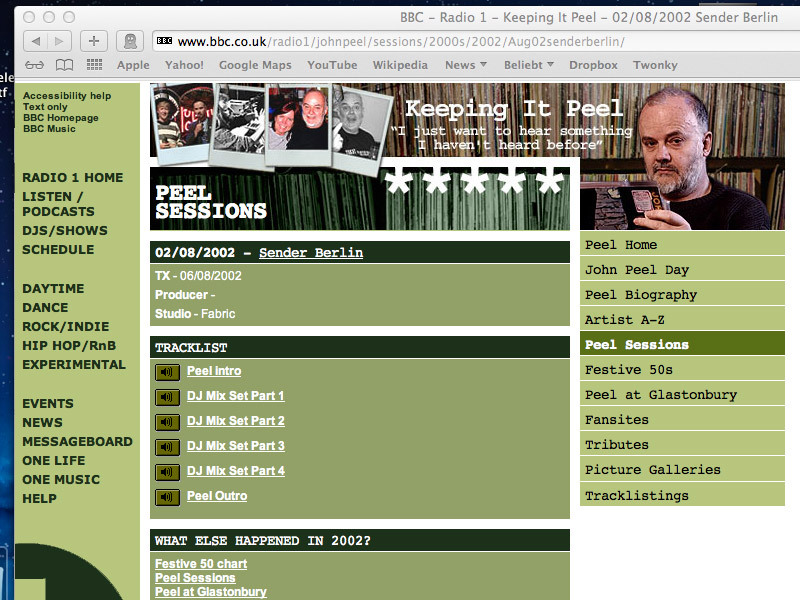 Recently on my research for some information about John Peel, I came across the still existing side by John at the BBC. After a bit of browsing in ‚John’s Biography‘ and in the ‚Sessions Section‘ the memories of our Peel session came back quickly. I asked myself more in addition…“How long ago was that?“ Deepened in my mind i almost missed what was written on the website…02/08/2002 – Sender Berlin. Incredulous, I rubbed my eyes. But it was thrue. 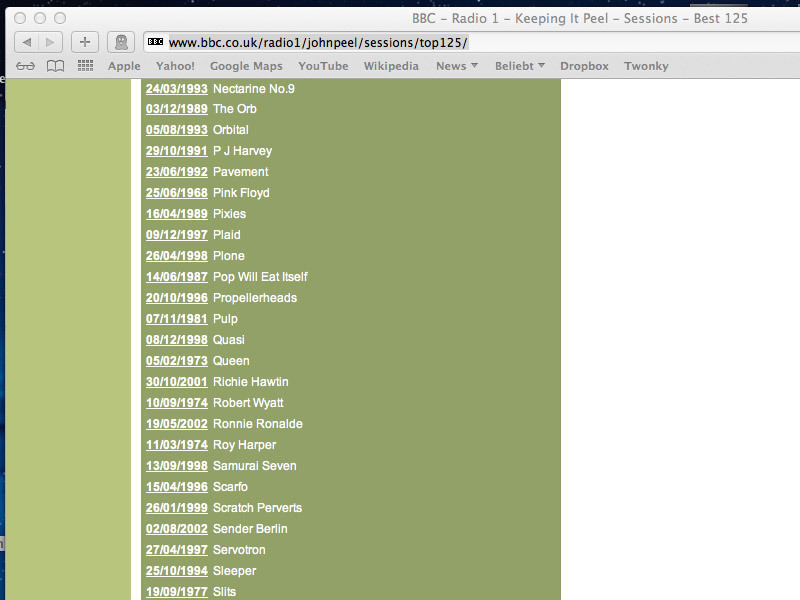 Sender Berlin is in the list of 125 best Peel Session. A moment later I realized that is almost exactly 10 years ago … Ohh my Godness! 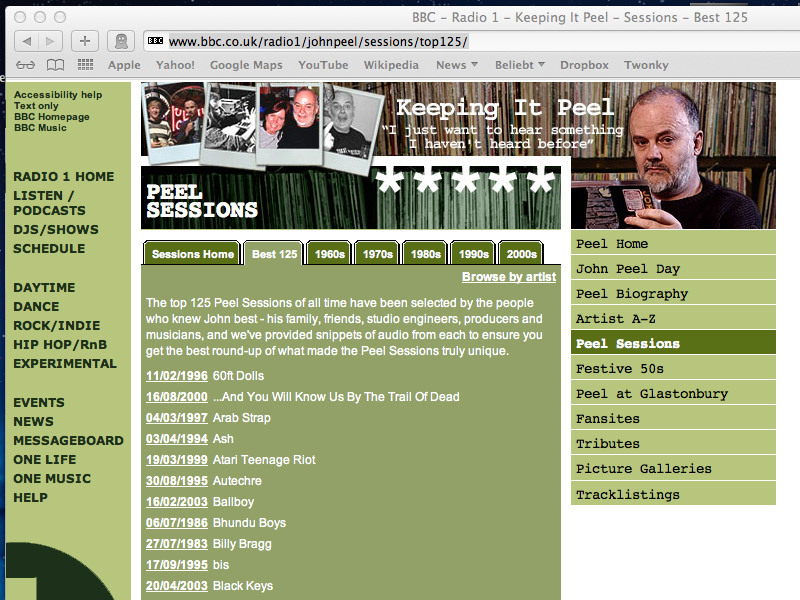 The Peel Sessions are the stuff of legend. They broke all the rules and engaged the listener with rough and ready mixes of some of the world’s most weird, wonderful and wired bands. There was a mythology to Peel Sessions: musicians went into the studio to record their three or four track session, only to emerge a few hours later blinking and dazed, having made a helluva racket that would go down in history as the making of the band. 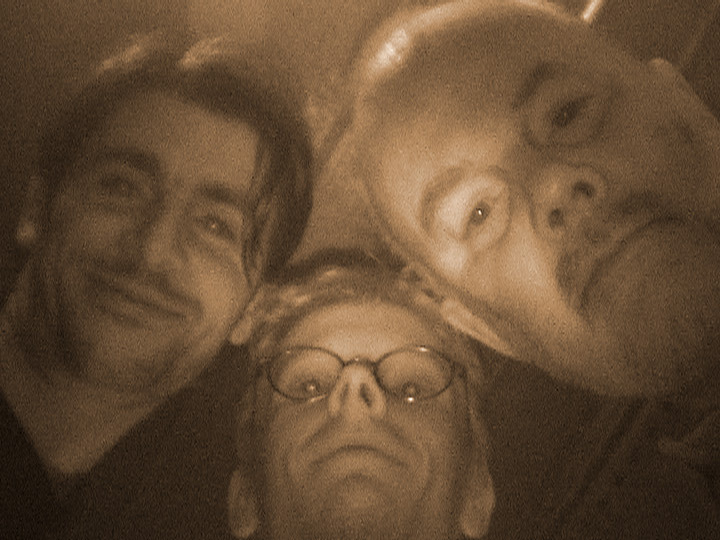 During a visit to Berlin in 2000 John Peel visited Sender Berlin in the studio (while recording their second album), as he was looking for innovative musicians. The first live performance preview of the new tracks from Sender Berlin was broadcast during one of the BBC’s famous John Peel Sessions. 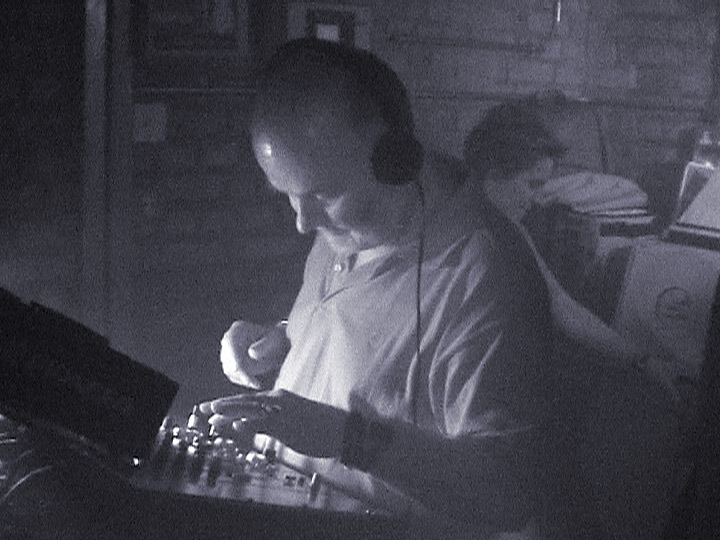 They had left a lasting impression because in August 2002 Peel invited Sender Berlin to coordinate the release of their second album “Gestern Heute Morgen” with his night in Fabric Club in London: Sender Berlin live then John Peel on the decks. The filmed documentation of this night was released on Sender Berlin 2005 album “unequal arts”. Here it is. 10 years after!!! With original sound and visualy enhanced to HDTV. Plus a small surprise in form of John talking about Sender Berlin…which even i didn’t know. 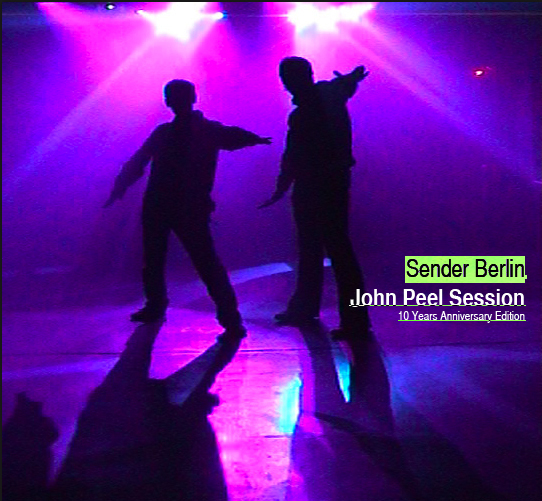 Watch or download Sender Berlin’s John Peel Session (10 Years Anniversary Edition). Enjoy and celebrate with us…S.B. Dieser Eintrag wurde veröffentlicht in What's up von Henne. Permanenter Link des Eintrags.